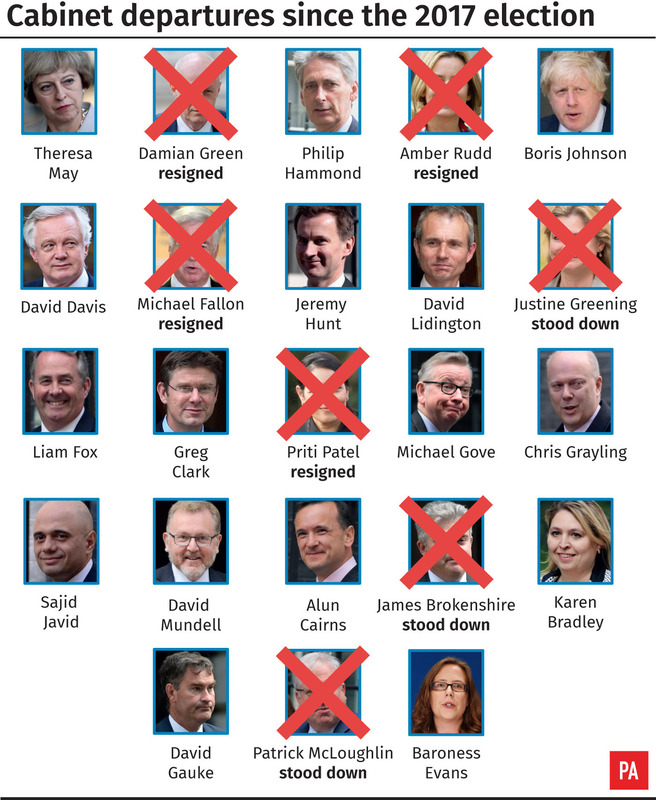 Sajid Javid has been made Home Secretary in a Cabinet reshuffle forced by the resignation of Amber Rudd over the Windrush scandal. Mr Javid was appointed by telephone by Prime Minister Theresa May the morning after Ms Rudd's departure and becomes the first person from an ethnic minority background to hold one of the four great offices of state. The 48-year-old MP for Bromsgrove made no comment on his appointment as Home Secretary as he emerged from 10 Downing Street after being briefed by officials. Mrs May was not present as she was making a local election visit. Mr Javid's first task will be to take some of the political heat out of the crisis which has seen people from a Caribbean background denied access to benefits and healthcare or threatened with deportation despite decades of residence in the UK. Labour has made clear it does not believe that Ms Rudd's removal resolves the situation. Shadow home secretary Diane Abbott said that ultimate responsibility rests with Mrs May and called on the Prime Minister to come to the Commons to answer MPs' questions. "All roads lead back to Theresa May and her tenure as Home Secretary," Ms Abbott told BBC1's Breakfast. "Many of the elements of this hostile environment originated under Theresa May and, most important of all, it was in 2014 that she passed legislation which removed the protection from deportation which up until then had applied to Commonwealth citizens." Ms Rudd became the fifth enforced departure from the Cabinet since last year's snap general election after admitting she had "inadvertently" misled MPs over the existence of targets for removing illegal immigrants. Mr Javid's appointment was welcomed by Cabinet colleagues. Culture Secretary Matt Hancock hailed him as "a serious political thinker who gets things done" while Chief Secretary to the Treasury Liz Truss described him as "effective, no-nonsense and brave".